Dubai, UAE, June 24, 2018: In a moment, anything can happen. A young woman becomes a princess, and her dream a reality. In a moment, the union of love is celebrated like a royal ceremony, and a single moment turns into a lifetime of shared happiness. Knowing just how valuable these moments are, Mouawad has introduced a spectacular collection of Masterpieces and High Jewelry to celebrate your big day the Mouawad way ― with unsurpassed elegance and exuberant charm and femininity. Unveiling over a century of jewelry excellence and diamond mastery, the new collections combine pure petals, hearts, and dewdrops, with ‘invincible’ diamonds and timeless gemstones in a stunning array of designs, ranging from delicately simple sets of haute joaillerie, to magnificent masterpieces studded with some of the world’s finest and rarest gemstones. 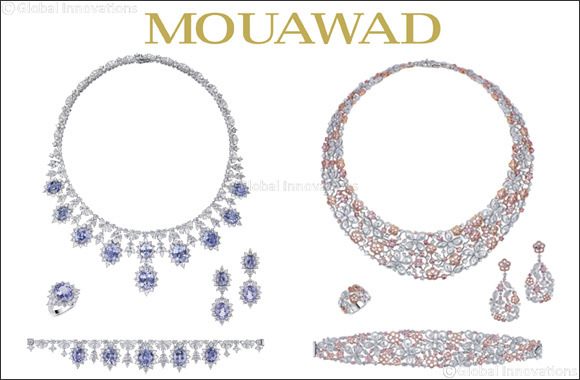 Offering a deeper meaning behind their shimmering reflections, Mouawad’s new Masterpieces and High Jewelry ensembles brilliantly embody the harmony of a wedded union. In the most elegant host of choices, Mouawad Jewelry gives every bride the luxury of choosing the perfect complement to her beauty and creating memories to last a lifetime, and more.